Are you ready for my 10-step duvet cover stuffing tutorial? Now pay attention because there may or may not be a quiz on this later. #1. Get yourself some duvet cover clips – a must have! I introduced these in my 3 Bedroom Essentials post. They’re the trick to keeping your comforter shifting and bunching inside your duvet, and they’re the best invention since the corkscrew! #2. Turn your duvet cover inside out and lay it across the bed, with the opening at the foot of the bed. Then lay your comforter over the duvet cover. #3. Using the duvet clips, clip the comforter to the duvet at each of the 4 corners. #4. Reach your arm through the duvet cover opening at the foot of the bed and grab the upper left corner. #5. Pull the upper left corner out through the duvet cover opening at the foot of the bed. #7. Grab the pulled-through corners–one in each hand–and pull them all the way out to the foot of the bed. #8. Now–holding a corner in each hand–snap the duvet cover/comforter like you would snap a sheet to straighten it. The duvet cover will start to unfold around the comforter and straighten out. #9. If you followed my instructions, the buttons to close your duvet are now at the head of the bed. Turn the duvet and comforter around so they’re back at the foot of the bed (no one likes to eat buttons) and then button ’em up. #10. Voila! You now have a duvet cover, evenly stuffed with a comforter guaranteed to stay in place! 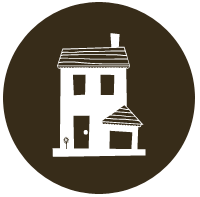 Now for the scoring portion of the quiz–knock two 2 houses to your right and have your neighbor check your work. Bonus points for anyone who comes over and irons the next duvet cover I launder. And you win the award for best tutorial ever. You don’t have to go knock on your neighbor’s door, I’m gonna just give it to you now. Thanks for these great tips, I’m going to have Mr. B read them – he decided to launder our duvet when I was out of town last and put it on backwards -you know, because seams are what you want to see. I can’t wait to try out these new techniques. Thanks for your help. I give you (and your bed making skills) an A!! I loooooooooove my duvet cover clips. they make my life so much easier. oh my god, this is the most amazing tutorial! thank you SO much! this is usually such a painful chore that leaves me cursing and practically inside the duvet – quite a site! your tutorial and the duvet clips are going to be such a huge help! if only i had a duvet…dang it! Thank you for the tutorial. I am picking up duvet clips tomorrow! I didn’t even know these heavenly clips existed. Thank you for opening up my world….. my duvet was always infuriating me. I’m getting clips this weekend. I can’t wait to try this! I am leaving now for BBandB to get some clips – hope it is this easy! After struggling with how to shove and secure my duvet in its cover, I devised a duvet clip that is both functional and decorative. Thesew clips aid in securing the corners while stuffing and keep the duvet from shifting while in use. Take a look at http://www.duvetcoverclips.com. I think you’ll like them. Thanks Anonymous–so happy you found my post helpful! I Google EVERYTHING! 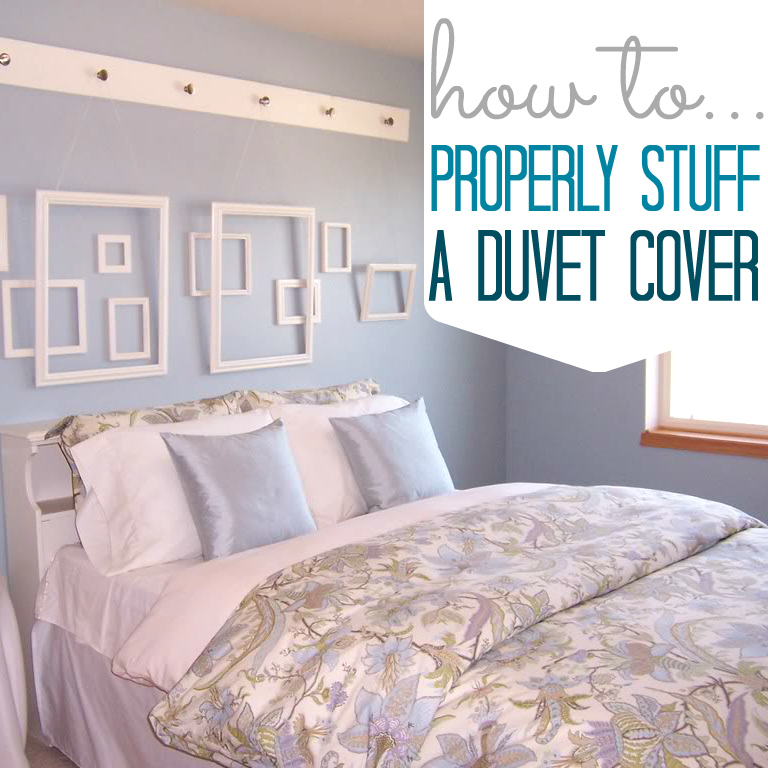 So when this blog came up after a search for “duvet clips” I was giddy with excitement. I rushed out to my local BB&B and bought a set of clips (with a coupon in tow). Even though I had recently laundered my duvet cover I, without hesitation, removed the cover and followed your step by step directions. Dusty…you are a genius! This is by far the best way to change out my duvet cover. Easy and quick with great results! I followed up by sweeping up stray cat and dog hair with the Pledge Fabric Sweeper and a spritz of philosophy’s amazing grace body spray. How divine! THANK YOU! @Andrea–Thanks for your comment; you’re so sweet! I’m thrilled you found my post helpful! Thanks for the detailed instructions. I’d gotten the clips but never figured out how to use them. Your method works great! So happy to hear it worked for you Jacob; thanks for the comment! Great tutorial. i have been known to completely lose it when trying to put the cover back on. I’m going to try using those fold back springy paper clip things. Did anyone already ask how people survived the task of stuffing a comforter into a duvet before we had the internet? One would expect the thing came with a printed tutorial, but no such luck… we just had to find out ourselves. No wonder the divorce rate went up so steeply as soon as comforters and duvets crossed the borders! Thank you for helping a middle-aged single man with a household chore that’ll be a lot easier in future. I didn’t have duvet clips & wanted to do it straight away, so I used clothes pegs instead (the old fashioned springy sort) and it worked a treat. Thank you. I hope you found them helpful, Derek! @Gerard: I was also surprised when I discovered my first duvet cover didn’t come with instructions! So glad to hear you put the internet to work and found my tutorial! thank you so much for these tips. I did it in 3 minutes. so much easier than the first time I tried to do it!!!! That’s so great to hear, Jennifer – thanks for sharing! I dont understand the duvet clips. Wont they be uncomfortable to sleep with? Any help or explination would be appreciated! I cannot believe i did not know how to do this. I was just giving up on duvet covers when I decided to google it and found your site. Looks like a great tutorial, so easy. I just ordered my clips, but took the advice of an Amazon reviewer and got my clips at Cuddledown. $6 a set and they ship for free. Can’t wait to give them a try so I can salvage my duvet covers. So happy to hear it, Margie! Those clips are a game-changer! Very helpful tips! hope using it next for my bedding stuff. I Love this tutorial cause surely, it will save my time while I changing my duvet cover.